Pine flooring has been the foundation, if you’ll excuse the pun, of flooring for centuries. It comes and goes in popularity, but it’s always a good basic choice for your home or office. Most frequently it’s left in its natural color, but it can be stained either to look like another wood (cherry, mahogany and walnut, for example) or to make a fashion statement with its off-color (an office I worked in once stained the wood to look purplish to blend with the color scheme). It’s a soft wood so is susceptible to damage, but that damage adds to the ageless beauty associated with pine flooring. Why choose this kind of flooring? Many people enjoy the “cabin” look in their homes because it brings back memories of a warm and comfortable time spending time in a cabin or lodge. Selecting Pine Wood flooring is an essential part of that look because it can make any home or room look more inviting and welcoming. It is readily available and is slightly less expensive than many of the other wood flooring options that you have. 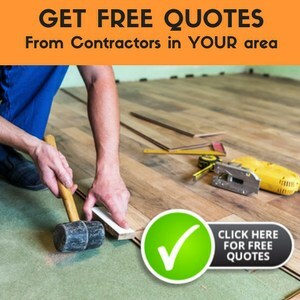 It is always great to find a wood flooring option that looks great and helps to add value and interest to your home and pine flooring can do this and more. Pine flooring is not hardwood flooring. Pine is technically softwood, consequently there are some things that you need to know about it. The difference between hardwood and softwood is how fast the tree grows; faster growing trees produce soft wood. Softwoods are susceptible to dings and dents because that softness. The great thing is that these imperfections can help make your flooring even more beautiful. The patina that pine flooring gets after a few years of use just makes it even warmer and more inviting. Of course, if you want a wood floor that keeps the same look for many years, then pine flooring may not be the right one for you. It works better in many casual homes, rather than formal homes. Make sure the wood is stacked up in the actual room, where you are planning to use these timbers, so they can get used to the moisture and conditions of the room. Also measure the floor area properly, including the closets. Another thing that you want to keep in mind about pine flooring is its durability. Pine flooring has been around for hundreds of years. Pine wood is one of the first woods that was used in flooring, and in many older homes in the south you will find pine floorings still being used that are even more beautiful than the day that they were installed. This shows you that even though they are a softwood, they are still durable enough to be used in the most traveled rooms in your home. Installing Pine wood flooring comes in different stains and widths, so you can find the right coloring and look for your particular home. Many people prefer the look of the natural colored pine flooring and its grain, so they choose to just polyurethane or seal the wood with a clear sealant (and you are better off selecting a low VOC — volatile organic compound — sealant so you don’t pollute your indoor air with fumes). Whichever width of the plank and coloring that you choose, it is sure to make your home more inviting and comfortable. There are several different categories of pine flooring as well. Heart pine is a beautiful choice if you are drawn to the pine floorings of old. Many times, you can even find antique heart pine flooring which may be reclaimed from older homes or businesses. Another type of pine flooring is southern yellow pine. It has a natural honey gold tone that many people are drawn to. There are other types of pine flooring, but these two are the most common pine flooring options you find. If you want to make your home or office more inviting, then you may want to consider installing pine wood flooring. If you are drawn to the floors in older homes or the lodge or cabin type floors, then pine flooring may be just the thing for your home. I have a new pine bathroom floor that no-one will lay ceramic tiles on – due to the movement. Is it possible to seal a pine floor in a bathroom. It is a holiday apartment so not heavily used.